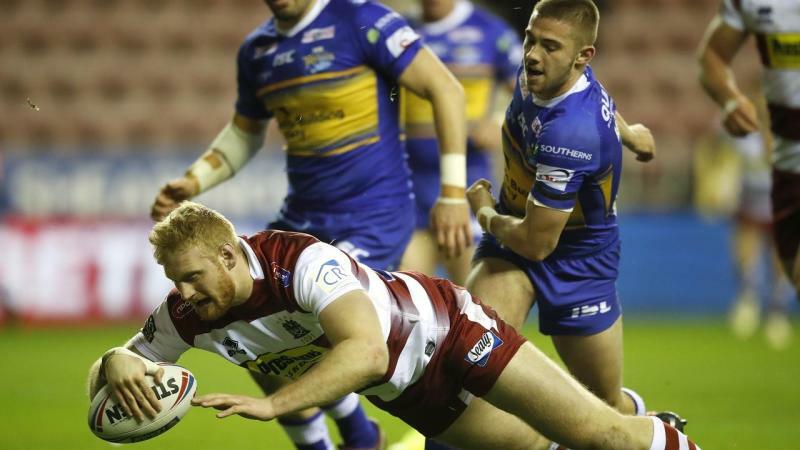 The 34-16 win over Leeds lifted the reigning champions off the foot of the table and provided a timely boost ahead of next week's World Club Challenge clash with the Sydney Roosters. When Bullock took a short pass from skipper Sean O'Loughlin to crash through, the game had been transformed by three tries in nine minutes and Hardaker added a third conversion to make it 22-12. It was, however, a score that flattered the hosts, with referee Ben Thaler missing a knock-on in the build-up to Wigan's first try and bringing back fullback Jack Walker for a harsh forward pass from prop Trent Merrin.